Former Ring of Honor wrestler, manager, and backstage official Shane Hagadorn steps IN THE ROOM this week! Shane has been involved in some of ROH’s top moments, is a trainee of CM Punk, and has stood in the corner of competitors such as Cesaro, Kassius Ohno, Sara Del Ray, and The American Wolves! 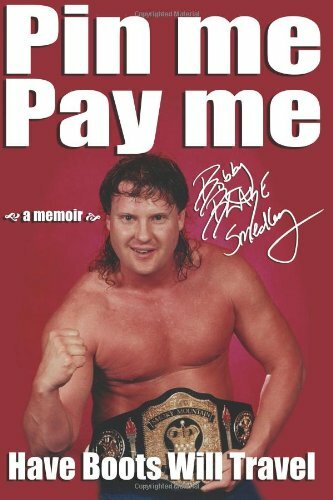 Check it out for his thoughts on the early years of ROH and the development of many of his peers over time; being involved in various aspects of the business; the effect that injuries had on his career; podcasting; and looking back on his role as part of such an amazing time in wrestling history. Plus, Brady Hicks (PWI), The Stro (WCW), Kathie Fitz, Derrick McDonald, and Matt Grimm talk about WWE’s Super-Showdown this Saturday; the booking of four guys whose average age is 52; the Brie Bella / Liv Morgan situation from last week; and the upcoming Evolution show. Plus Brady puts on his Judge Dredd hat to hand down sentences to listeners, takes calls on the open phone lines for two full hours, and so … much … more! Thanks, as always, for the support. Check out Shane Hagadorn’s podcast, courtesy of our friends at the Creative Control Network!